You guys, I lost/misplaced my camera's memory card and it had over a dozen outfits (I shot about 5 OOTD posts yesterday alone). I am running out of outfits that were currently on my lap-top. See, I try to take most of my outfit photos as I wear those outfits, however I shoot more on Tuesdays, Fridays and Sundays since those are the least busy days for me, usually. 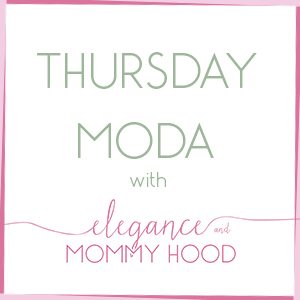 Anyhow, Today's outfit is what I wore on Valentine's day, spent with my gorgeous little girl. I was originally going to take her to Chuck E. Cheese, but last minute we chose Olive Garden. Vivian fell asleep after we got home and napped on the ride home too. So unfortunately no photos with her. But she wore a brand-new white sweater dress with a leopard-print heart in the front. I cannot believe it has been 6 weeks since then and I am finally posting these photos. But as you can see it was pretty warm. 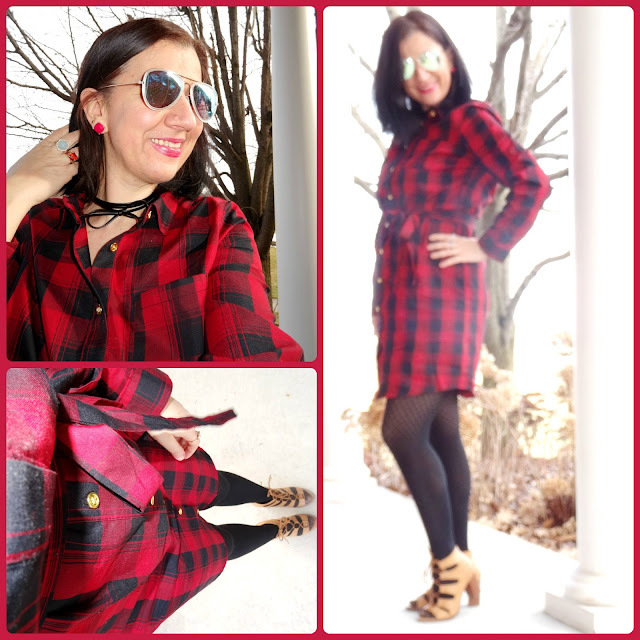 This Red+Black Buffalo Plaid Shirtdress that I scored for 70% off (days before The Limited closed), is in a light material (no fleece here) so it was perfect for a day of 50 something degrees. I did wear my light black down jacket over it, though. I styled this dress with my new Faux Leather Black Bow Choker (from Wet Seal), Pinkish-Red Square Studs by Kate Spade and one of my Red Lipsticks. I kept it simple on the bottom with a slight pattern-mix created by my tights which have a small diamond print. Last but not least, I chose these sandal-bootie ghilly shoes which I love and are some of my favorite shoes to wear March thru May. I did carry a little Red Patent Leather Clutch (photographed on its own, below) but forgot to take the photos with it and I was rushing to do these, while Vivian was napping. 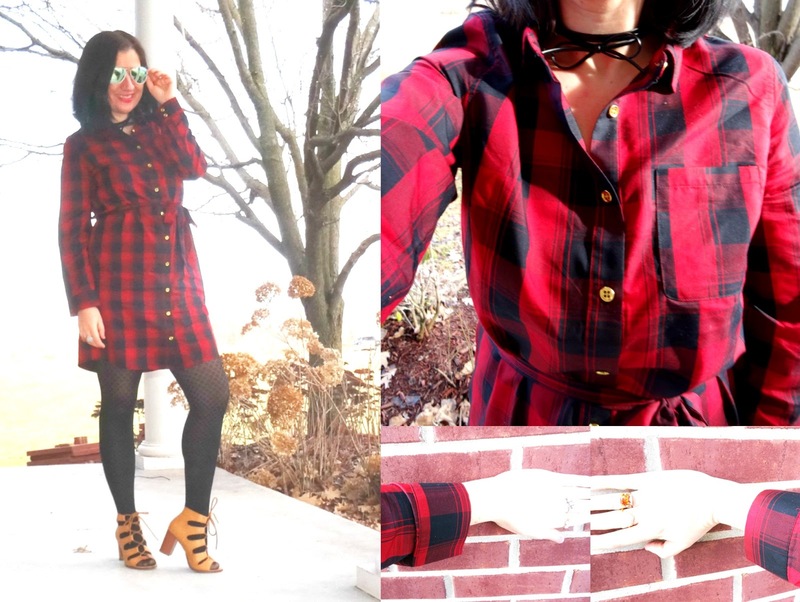 Black+Red Buffalo Plaid, Light Cotton-Blend Long-Sleeve Shirtdress w/ Tie Sash: The Limited (New) (very similar, on Sale), (similar hi-lo option, Steal), (similar, on Huge Sale), (similar w/ faux sleeve tie front, Splurge, my Favorite). Black Faux Leather Bow Choker: Wet Seal (New) (similar w/ charm in the middle, Steal, love this), (similar, Fantastic Deal), (quite similar, Great Deal), (similar, multi-layered option, my Favorite). Red Patent Leather Clutch w/ Oval Cut-out Metallic Handle: Express (similar quilted option, Huge Steal), (similar embossed option, Fantastic Deal), (similar envelope style in red+black, on Sale, love this), (gorgeous heart-shaped option, Splurge, my Favorite). Gold Tone Pave Ring w/ Large Brown Oval Stone in the middle: Old Navy (similar, Steal, love this), (similar, Fantastic Deal, love this), (gorgeous pave option, Small Splurge, my Favorite). Gold-Tone Hexagon Pave Ring in Aqua Chalcedony Stone in the middle: Olivia & Grace via Rocksbox (New) (similar all in gold-tone, Steal), (similar, oval-shaped, Great Deal, love this), (similar gorgeous option in green agate stone, Small Splurge, my Favorite). 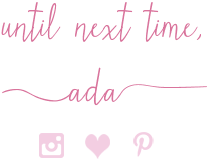 Black Opaque Tights in a Small Diamond Pattern: Vera Wang via Kohl's (current Vera for Kohl's option, Steal), (similar, on Huge Sale, love these), (similar, Great Deal, my Favorite), (similar, Splurge, love these).